This Page Features My Programs & Services. Find a Service That’s Right For You! Private, one-on-one, 60 minute personal training is the most complete fitness solution available. It’s all about YOU. My goal is to educate you and inspire you through the process to help you develop a dedication to healthy living. Private, one-on-one, 30 minute personal training is an ideal fitness solution for the busy and or budget-minded person. If your goal is to “workout and get out” 30 minutes is probably all you need. Partner training is an affordable alternative if you want to exercise with family, a friend or co-worker. If you’re competitive or need extra support and accountability, partner training would be a perfect fit. Partner training is for you, but you’re too busy for a full (60 min) session, this option fit’s the bill. You will experience many of the benefits of a full partner training session while reducing your investment even further. This is NOT a diet or typical weight loss solution! My comprehensive weight management system is a synergistic, total life approach with easy, practical and sustainable solutions to your body fat problem. Safe and healthy weight loss that gives you results that last! Transforms the way you look and feel – in as little as 12 weeks. Uses time efficient and effective exercise prescription. 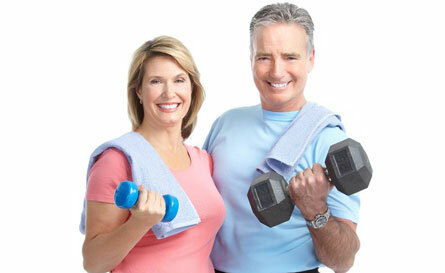 I have specialized in Older Adult personal training for over 10 years. So you can rest assured you will get stronger and more mobile in the safe hands of an experienced Older Adult personal trainer. It’s never to late to get fit and take control of your body – and your life! Helps reduce body fat and restore lost muscle tone. Increases endurance and energy levels for all your activities. Builds full body strength and bone mass. ***When you decide what service is right for you, be sure you take a look at my system for a guide to getting started and what you can expect from my personal training service.